With online publishing industry taking over the mainstream media, more and more people now opt to create their very own publishing platform online. Instead of regular media sources like- newspaper, magazines, and TVs, the easiest alternative has become the internet. And thus, WordPress being one of the leading platforms to create and set-up websites, even they have come to terms with it. While more and more features and options are added to the niche, there are now hundreds of options for you to choose from. Talking about themes that are best suited for the niche of the online magazine, news, as well as editorial websites, out top pick is definitely Mag Lite. It is a Free WordPress online magazine theme that is flexible and dynamic with equally effective and advanced features. With a sleek, clean and modern design that grabs any visitor’s attention is designed with the latest design and trends to keep them hooked to your website. This theme is also highly customizable and gives you the option to bring life to the vision on your mind with the perfect website! You can adjust the menu, logo as well as the background color or image as per your preference. And that’s not all, this theme is also fully responsive and mobile-friendly making sure that your website looks as stunning on any device your user tends to visit your site from! 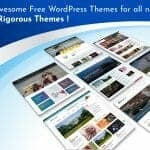 This theme is compatible with major best WordPress plugins. Easy to install and featuring the One-click demo importer, Mag Lite definitely wins the user-friendly aspect. Not only this but the theme also features endless amounts of carousels! You can deploy them in a matter of minutes to keep your site updated and advanced! And the very best part about it is, IT IS FREE! All these extremely dynamic and powerful features with appealing look and feel of professionalism, it is absolutely FREE! Fully responsive and Mobile-friendly layout and designs. Highly Customizable with tons of editing options. User-friendly interface and no coding knowledge required. One-click demo importer for easy installation. Sleek, modern and professional look. And that is not all if you want to know all about the Free WordPress online Magazine Theme- Mag Lite, Click Here! With hundreds of themes of the niche, it is hard to make a final decision. Don’t Worry! Because we doubt that you would even want to switch to any other theme once you try out Mag Lite. 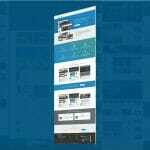 A free WordPress online magazine theme to meet all your needs! And if you are looking for an even better experience! Why not go premium and switch to Mag-Pro? Our latest addition and one of the best work! Get more additional advanced and powerful features that add the extra touch of appeal to your site! Whether lite or pro, this theme is definitely worth a try! And we can almost be sure that you would not want anything more for your online magazine, news or editorial websites!